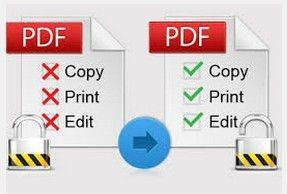 You are just about to read or print a PDF document which is urgently in need of. However, the PDF file turns out to be password-protected and you have not even a hint what the password might be. Believe me. You are not the only one with such puzzle and want to remove password from PDF files. PDF Password Remover is the best PDF password recovery tool available. It enables you to recover PDF owner password, and gives you the right to open, edit and print the password locked PDF documents. Note: PDF files can be protected with 2 different passwords: PDF user/open password and PDF owner password. We described the differences of these 2 passwords at the end of this post. In order to remove PDF password protection, all you need is PDF Password Remover and a few clicks. You can take reference from the following tutorial and learn how to remove PDF password restrictions by yourself. Before you get started, download PDF Password Remover and install on your computer. 1. Launch the program. In the main interface, click "Add PDFs" to import PDF files you would like to remove restriction for. 2. You can save the password removed files to the same folder as the original files by ticking "Save password removed PDF(s) in source folder". Alternatively, click "Open" to specify another folder on your computer as you wish. 3. Check files you would like to remove password first. You can select all files with "Select all" option or choose individual files by checking the boxes before them. You can select the files you don't want to decrypt and click "Remove" to delete them from the list. Or click "Clear All" to clear the task list. Click "Start" button to start remove PDF security password. The whole process will be finished within one second. When successfully removed password, please click "Open" to go to Out Folder and open the password removed PDF files. Or click "Close". 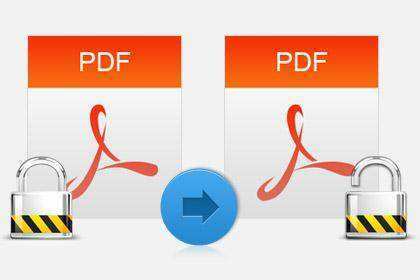 To remove PDF password on Mac, you will need the help of PDF Password Remover for Mac. "User password" and "owner password" are 2 different passwords you can use to protect your PDF files. Open/User Password -- A PDF document may be protected by password for opening, and this password is the user password or open password. Owner Password -- PDF files may also specify operations that should be restricted even when the document is opened. Such operations include printing; copying text and graphics out of the document; modifying the document; and adding or modifying text notes. These operations are restricted only if you have the owner password. If your PDF file is also protected with a user password which you don't know, PDF Password Recovery could help you remove PDF open password as well as the PDF print password and edit password.